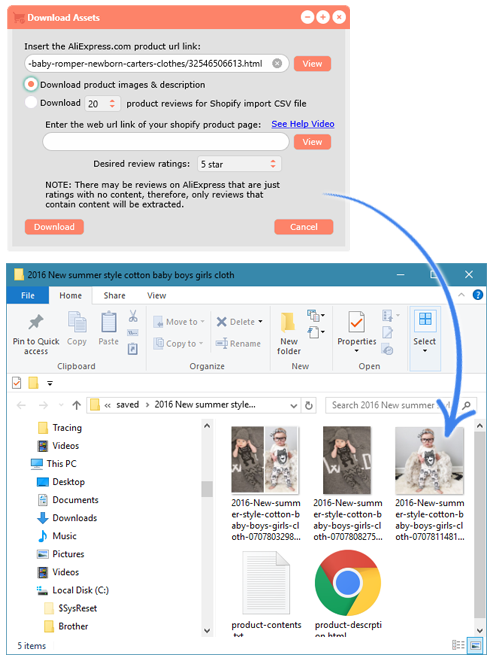 The New Chrome Extension & the New Ali Inspector Bonus Software Through This Page! 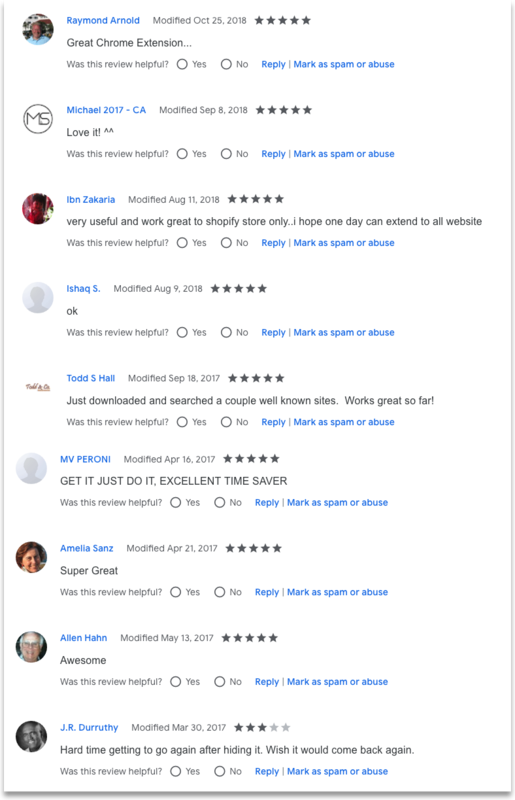 Successful shopify vendor who uses Intelligynce! 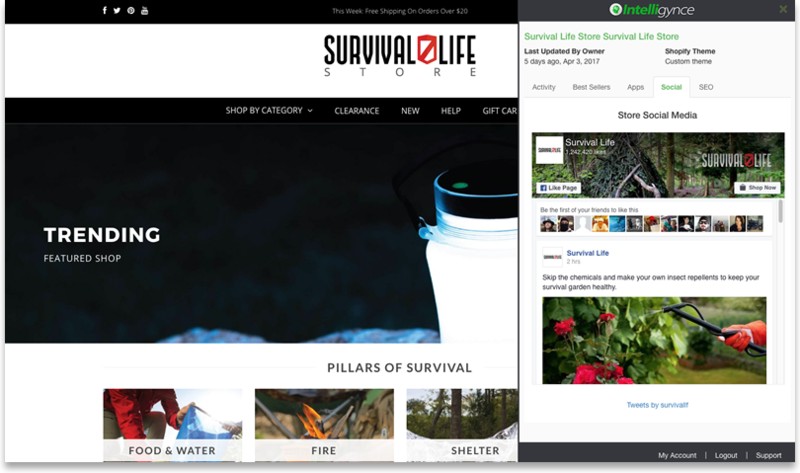 Quickly discover the hottest products selling right now and add them to your store. At a glance see the Google Ads a store has been running and the keywords used in each advert! 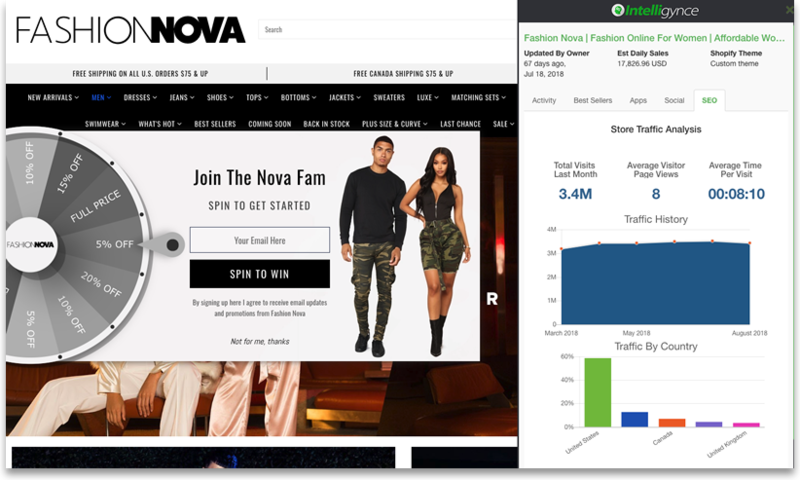 Stay on top of your competitors and use this information to help build your own highly targeted campaigns. 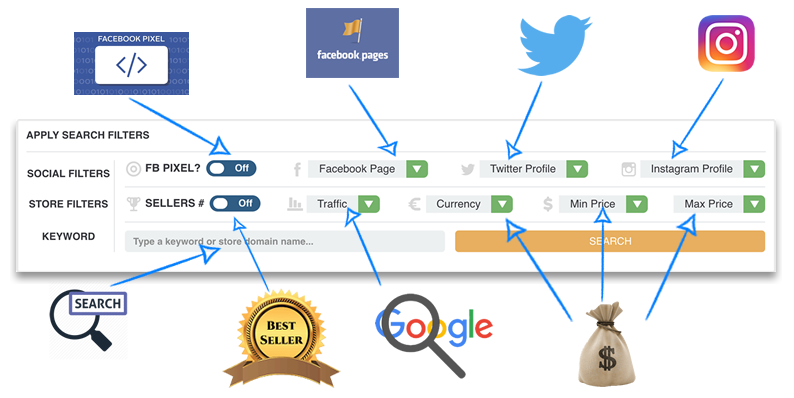 Quickly search over 500,000 Shopify stores using many different powerful filters with just a few clicks. 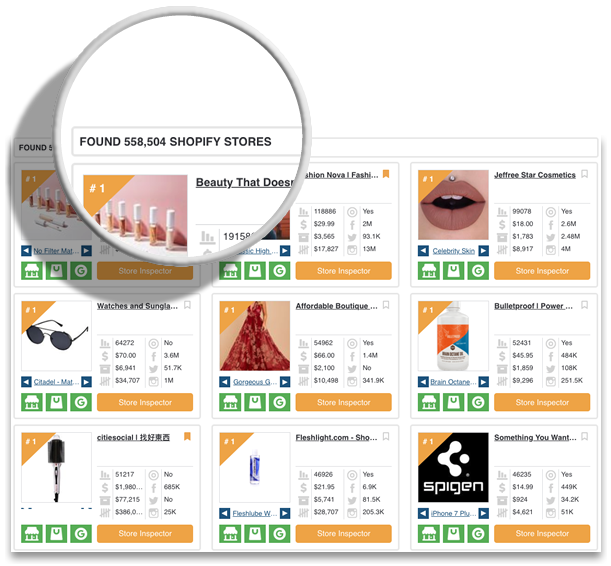 Quickly search over 2 Million products using many different powerful filters with just a few clicks. You can quickly filter the massive list of over 500,000 shopify stores by Facebook conversion pixel, the price-point of each store's best selling item, whether or not they have a facebook page, twitter profile or Instagram account, the currency being used, or by keyword search. 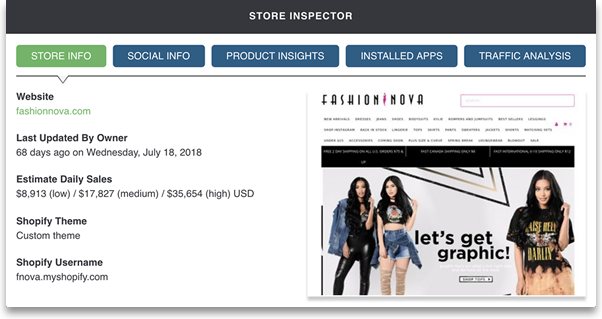 At a glance see the low/mid/high income estimates a particular store could be generating and use this information to help you decide if you should sell similar products. 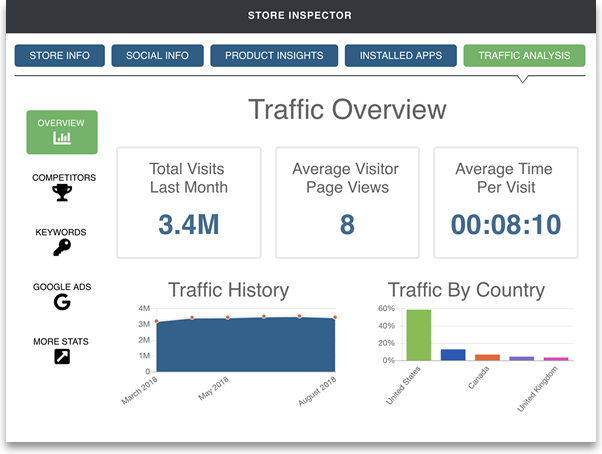 Instantly see monthly traffic trends for each Shopify Store. 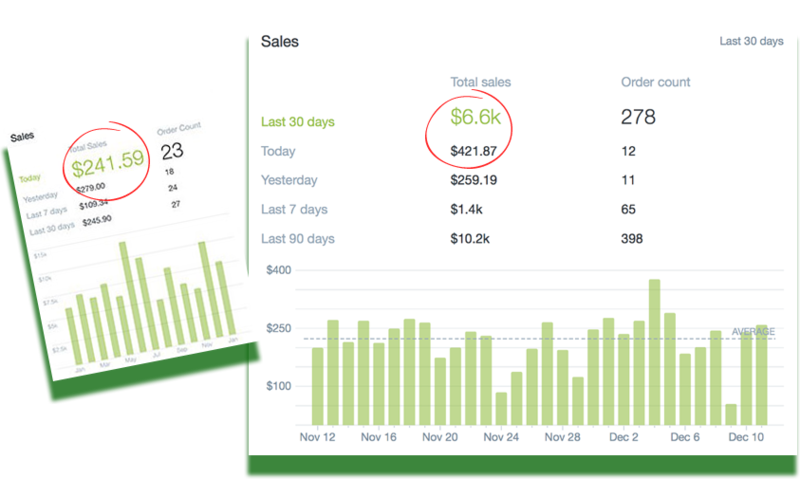 Use this powerful information to build super-targeted facebook ad campaigns for getting the perfect leads & sales to your own Shopify stores! 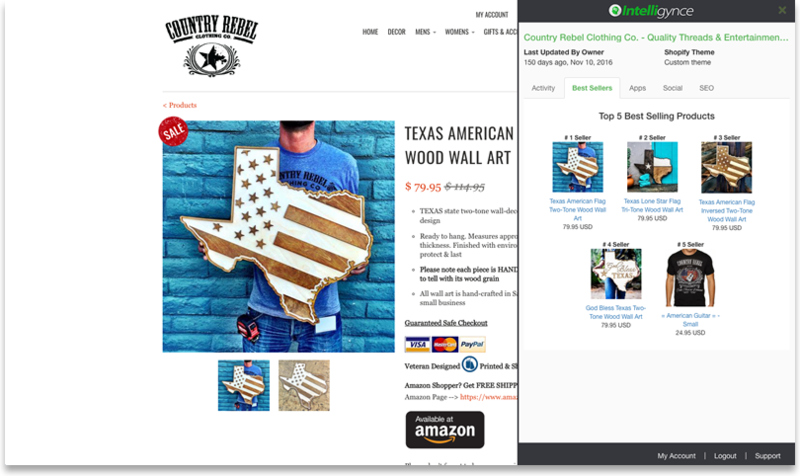 Check the ranking of the top 5 competing stores for each Shopify store. 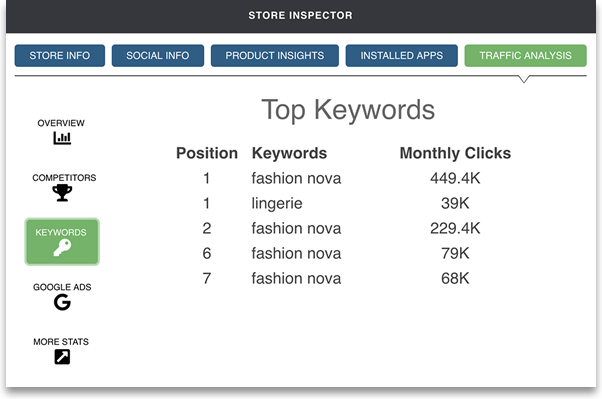 Find the top keywords ranking for each Shopify store along with estimated traffic for each keyword. 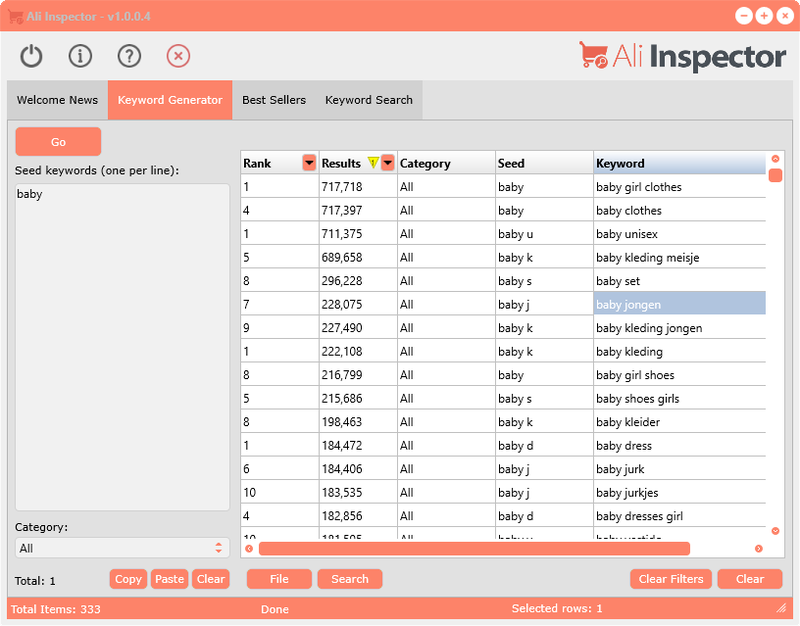 At a glance see the Google Ads a store has been running and the keywords used in each advert! 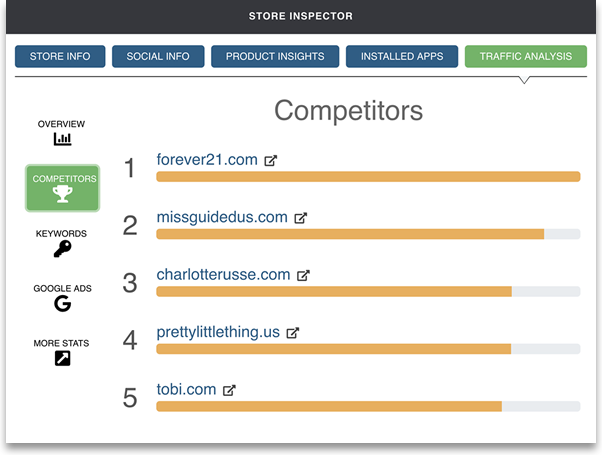 Stay on top of your competitors and use this information to help build your own highly targeted campaigns. All of the Intelligynce packages are non-refundable. This includes the $197 one time payment, the $29 mo and the $99 yr packages. However you can cancel at any time with no further obligation. You will also get all software updates and upgrades FREE with all our packages as long as you are a member. 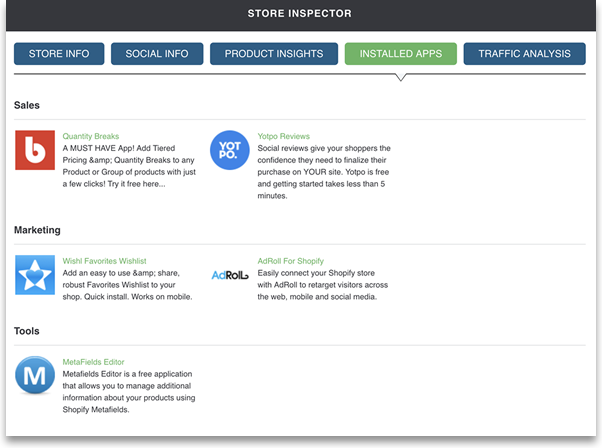 Intelligynce platinum is a powerful software tool that allows you to monitor over 500,000 Shopify Stores and over 2 Million products. 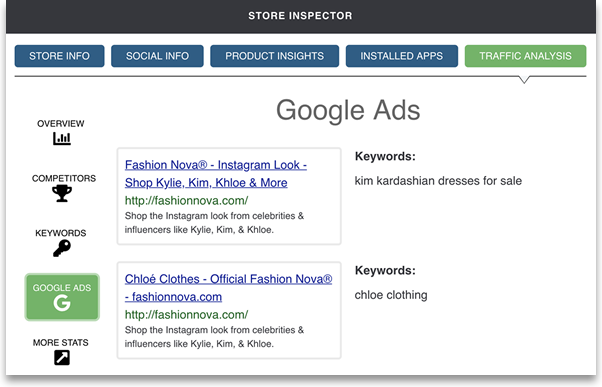 You can filter the search results in a number of ways to find products that are in-demand and actually selling. When you get ready to start selling a product yourself, with a click of the mouse, you’ll be able to find the product on AliExpress so you can start making money right away. This tool will literally save you countless hours of research and help you to completely avoid trial and error. When it comes to starting an online store, most people struggle to find winning products. They either get stuck and never get started, or fill their stores with products that never sell. Of course, both can be a massive waste of time. 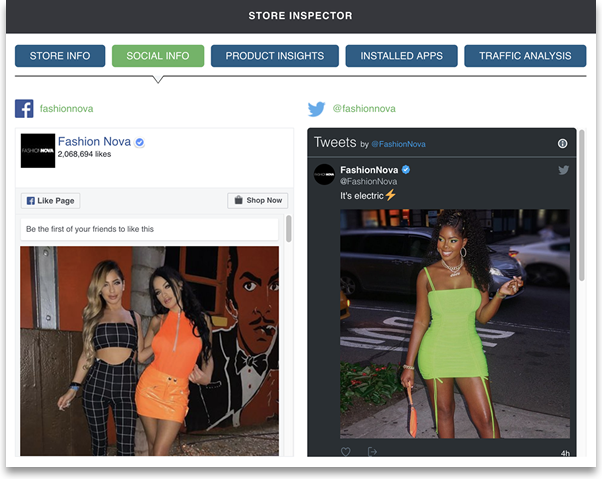 With Intelligynce, you can know in advance what’s selling before you ever get started by following successful stores with real products that are selling right now. Nope. Intelligynce is hosted online on our servers. 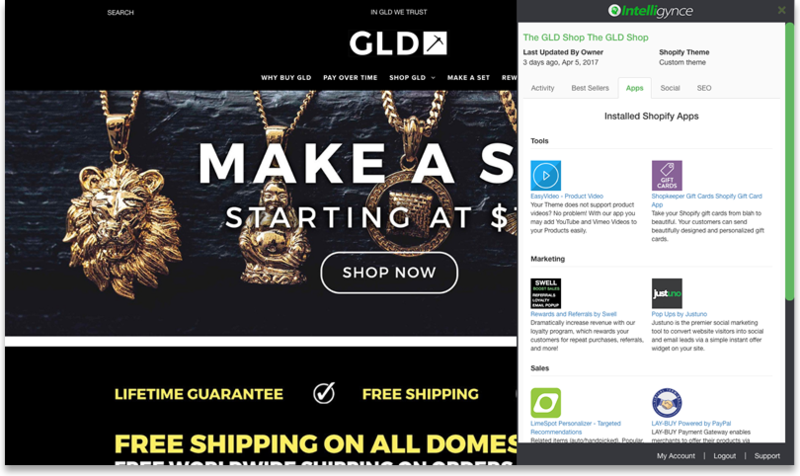 Just login and you’re ready to start analyzing thousands of shopify store and products. Also, you can login using any device, such as your PC, Mac, iphone, android, tablet, anything that has an internet connection and web browser. If you can point and click your mouse, you have everything you need to start monitoring with Intelligynce. Can’t I just find all of this information on my own? You could. But it will take you countless hours to do it on your own. Intelligynce is a massive shortcut to success. How many stores and products does Intelligynce look at? 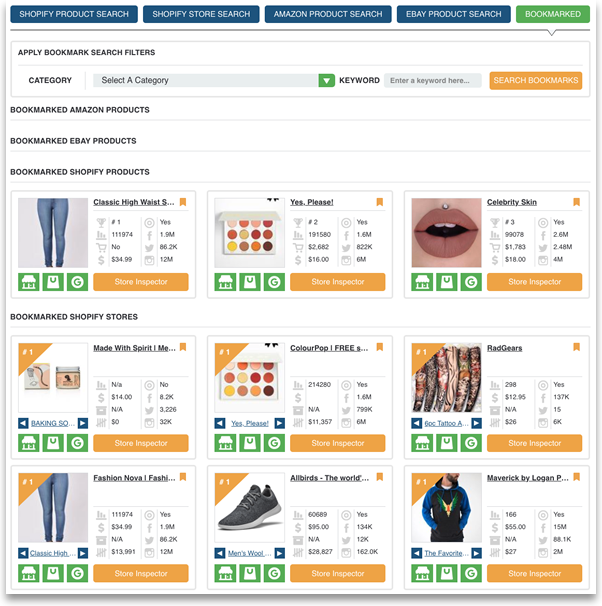 In the platinum version of Intelligynce you get access to over 2 Million products and over 500,000 stores as well as the Store Inspector tool. Can I filter by products that are actually selling? You bet. In fact, “copy and pasting” what’s already proven to work is the easiest way to start making money with your own store. 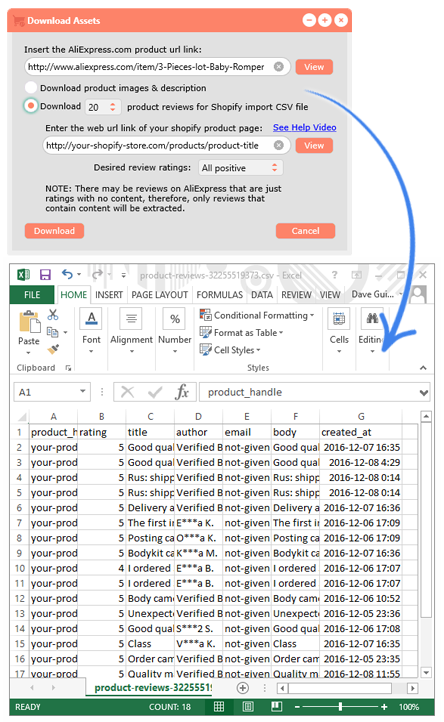 If I find a product I want to sell, how can I find the product inside Intelligynce? 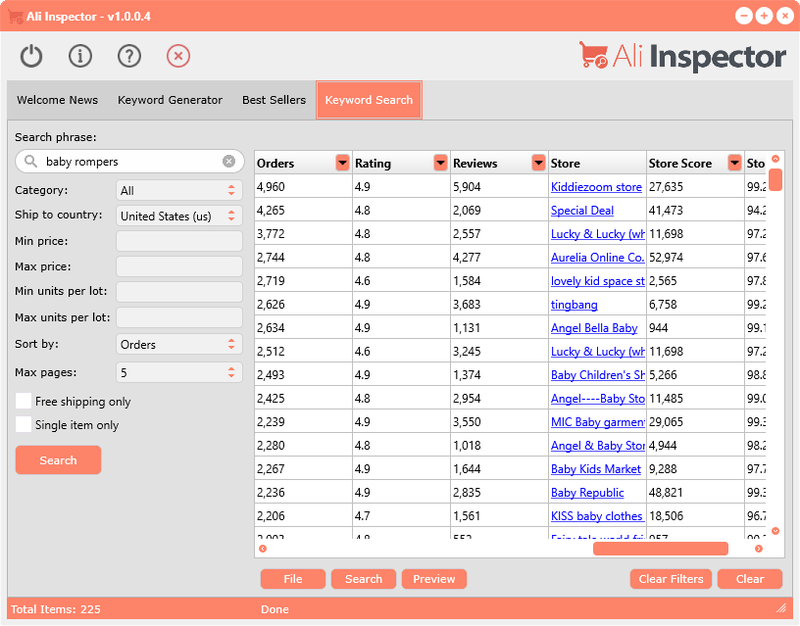 One click takes you to that product’s listing on AliExpress where you can source the product, or you can use the Ali Inspector bonus software to quickly find the products you need with the perfect profit margin. 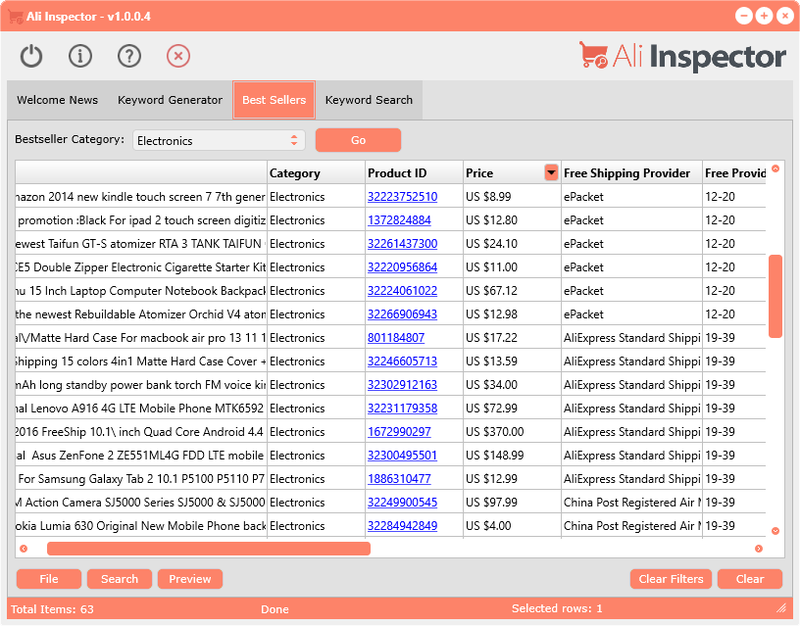 Watch the video on this page to see a full demo of the software as well as many tips on how to source products from AliExpress. Yes, the Ali Inspector software work on Mac computers. In fact, we will provide a completely native Mac application that doesn't rely on the Adobe AIR platform. You are allowed to install on a total of 2 personal computers that you own. This applies for both Mac versions and PC versions. What Mac OSX and PC Windows versions are supported? 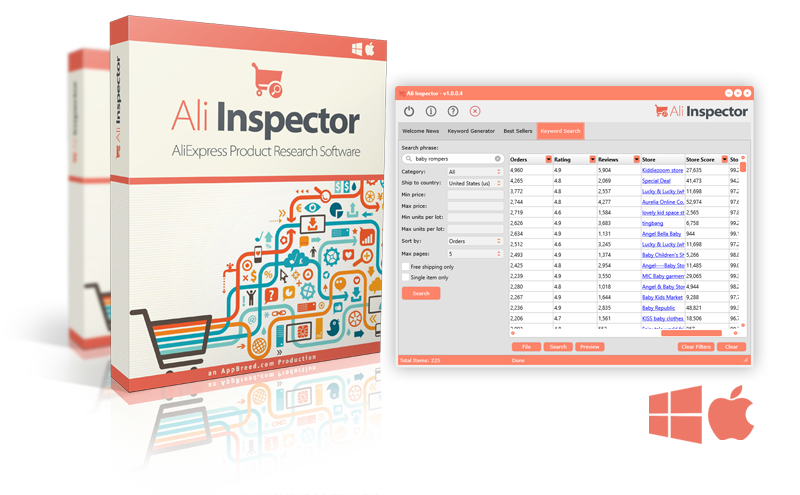 Both the Ali Inspector software will work on Mac OSX 10.8 or higher, and Windows XP, 7, 8, & 10. Ali Express Hot Sellers $99 Value! Amazon Hot Sellers $99 Value! eBay Hot Sellers $99 Value! 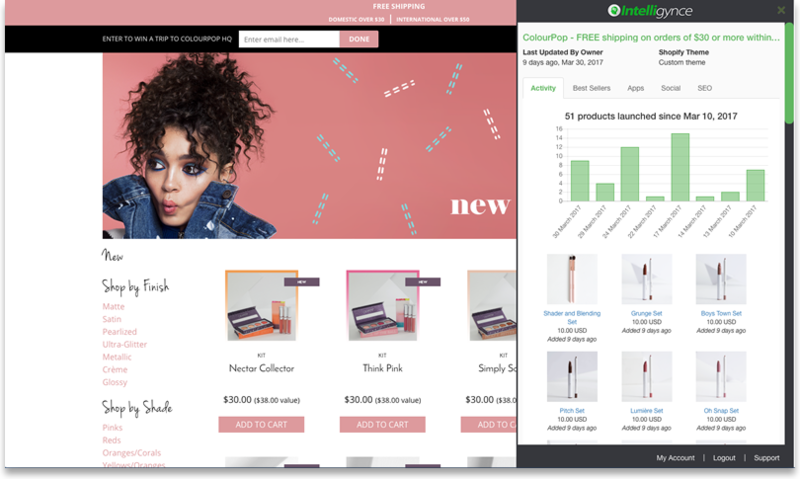 Shopify eCom Course $99 Value! Video Tutorials and MUCH MORE!  $495 Worth of Extra FREE Bonuses! $297 Worth of Extra FREE Bonuses! You will get instant access to the Intelligynce product and the bonuses after you purchase.